This blog is concerned with the art of Shakespeare in performance, but the truth is that I review surprisingly few scholarly books here because it is frustratingly rare for one to perceptively address this issue. Now, however, there is a genuinely outstanding new book out that seems on its surface to be about a very narrow issue (doubling roles by actors in Shakespeare’s plays) and turns out to be about an entire range of performance issues that sneak in through that tiny crack. I recommend it without hesitation. 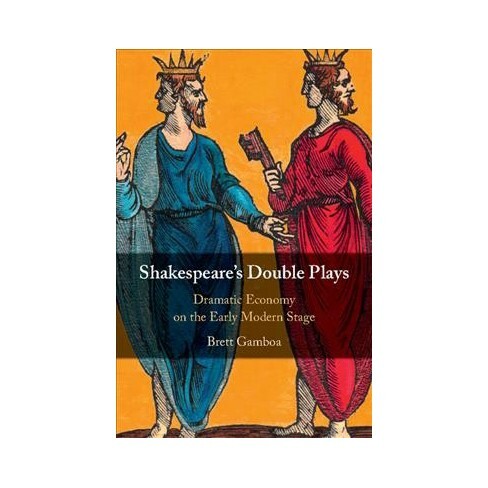 The book is Brett Gamboa’s Shakespeare’s Double Plays: Dramatic Economy on the Early Modern Stage. Professor Gamboa (of Dartmouth University) is the best kind of scholar-practitioner, and his book is essential reading for anyone seriously thinking about the plays in performance. Gamboa’s book is a radical rethinking of the nature and significance of doubling (that is, an actor playing two or more characters in a production) in Shakespeare’s plays. His conclusions are startlingly original, and vastly different from the generally received ideas about how Shakespeare’s plays were performed in his own time and how they ought to be performed in ours. Speaking with a practitioner’s voice, Gamboa flatly states that ALL of the plays in the canon can be performed by just 12 speaking actors, and are “more engaging, more pleasurable, sometimes even more credible” when they are. (Contrast this with, say, the New Oxford Shakespeare’s assertion that A Midsummer Night’s Dream, for example, requires a minimum of 12 adult males and an additional 10 apprentices/children because essentially no roles can be doubled in it, and you get a sense of how different Gamboa’s ideas are from even very recent scholarship on the subject.) He quickly disavows any ability to PROVE his thesis based on extant casting records or other historical evidence, but he is also quick to point out the myriad ways that the evidence does not support the generally accepted conclusions, either. Gamboa, instead, argues very persuasively on aesthetic, dramaturgical, and practical grounds that the centrality of doubling to Shakespeare’s practice has never been properly explored, and its extent vastly underestimated. 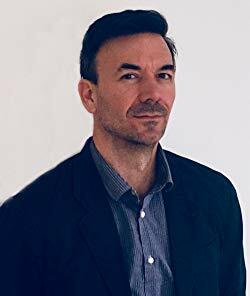 When combined with a critical reexamination of the historical evidence, he brings new insights into probable “original practice” and raises exciting possibilities for contemporary performance practice, training and production. Along the way, he challenges a lot of standard narratives. He finds no reason to believe that Shakespeare and his fellow sharers, that is co-owners of the company, would refuse to play multiple parts in a production, however widespread the view has become in our time that the practice was confined to hired extras in small parts. He is equally dubious about the artistic and economic possibility of boy actors taking on major roles like Rosalind, Cleopatra and Volumnia after only a couple of years of training – or that there was a steady stream of apprentices (basically an entire stable of trainees) being maintained at all times to fill in for teenagers graduating to male roles as soon as their voices broke. A much more likely scenario, given the evidence we have and our knowledge of the practical limitations on resources is that actors played females roles well into their twenties, that they sometimes doubled both male and female roles in a single production, and that these were highly skilled performances that depended on intentionally theatrical artifice rather than verisimilitude. At the center of Gamboa’s argument, however, is not quibbling over whether theatre historians have overreached the evidence when putting forth their opinions. Instead, he focuses squarely on the compelling aesthetic patterns that emerge when doubling is not thought of as a “vulgar necessity” as one prominent scholar labeled it, but an integral practice for making meaning. His literary and theatrical insights are, well, thrilling. If there only one or two such ideas in the book, it might feel like a stretch, but Gamboa is revelatory about every play in the canon, often highlighting numerous doubling possibilities that extend meaning through repetition or juxtaposition across multiple characters. This is the most thoughtfully provocative book about Shakespeare’s practice I have read in years. It has enormous implications for how we train actors and directors, how we understand the dramaturgical structures of the plays, how we teach theatre history, and most of all, how we produce and perform the plays in our own time. click ISBN for the Cambridge U website. You are currently reading Brett Gamboa’s Brilliant Take on Doubling (and a lot of related stuff!) in Shakespeare at Shakespeare's Tribe.